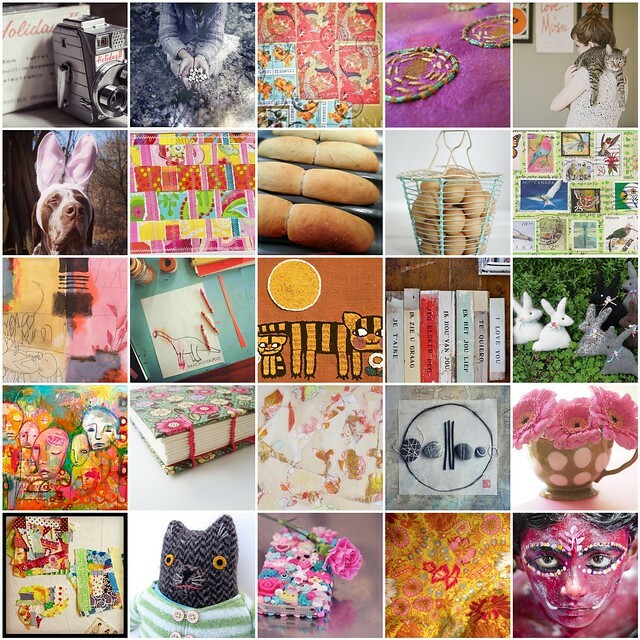 March Inspiration mosaic is full of creative joy, don’t you agree? 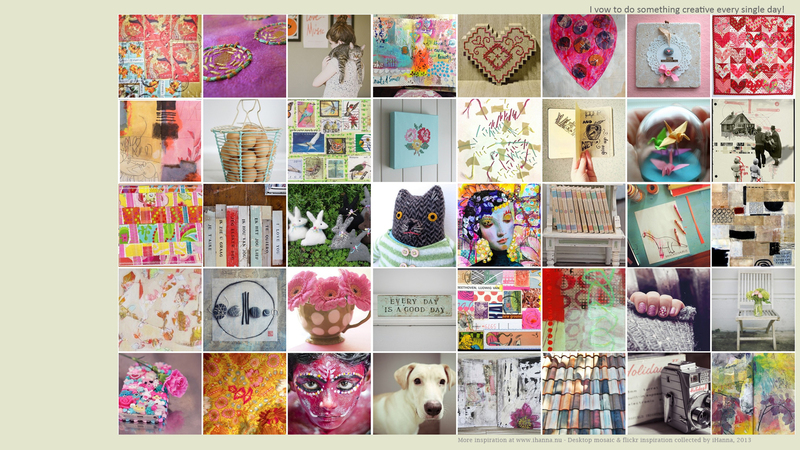 view big or click the images to see who the awesome individual photographers, crafters and artists are. People who inspire me again and again on flickr. I created a desktop background for my mothers computer – because I noticed today that she still uses this one from 2010! It’s still inspirational and pretty, yes, but I thought it could be fun with something fresh and new. It’s a combination of the mosaic above and the last one I made (for February) and the text I vow to do something creative every day! which is something I think we all should promise ourself. This entry was posted in Creative habits, Other's Creativity and tagged daily creating, desktop background, flickr mosaic, Free Download, inspiring me. Bookmark the permalink. I like the idea of using multiple images for your desktop. I tend to blow up one big inspiring image, but I think I may give your way a try!